In a recent survey of 1000 UK adults  82% said that they would prefer to buy a period property rather than a new build home. When asked why they wanting to purchase a period property, 69% said that they wanted original features. Since many of these features result in higher overheads and increased maintenance costs, the reasons for this preference must be almost entirely aesthetic. Other findings suggested that many potential home buyers hold outdated views about new build properties. Some of these myths included that new homes are too small, too expensive for what you get and too uniform. Another recent survey from  asked what new home buyers valued about new build homes. 600 UK adults that had either bought a home in the last year or intended to do so in the next year took part in the survey. The report also found that marketing messages about choice, quality and on-going costs were viewed as being the most interesting and believable. As part of the study people were shown new homes adverts and asked to describe their feelings and thoughts. They found that the adverts that focused on people and lifestyle were most liked. The reason offered for this was that buyers want to see themselves in their new homes and imagine the aspirational lifestyle they could enjoy there. 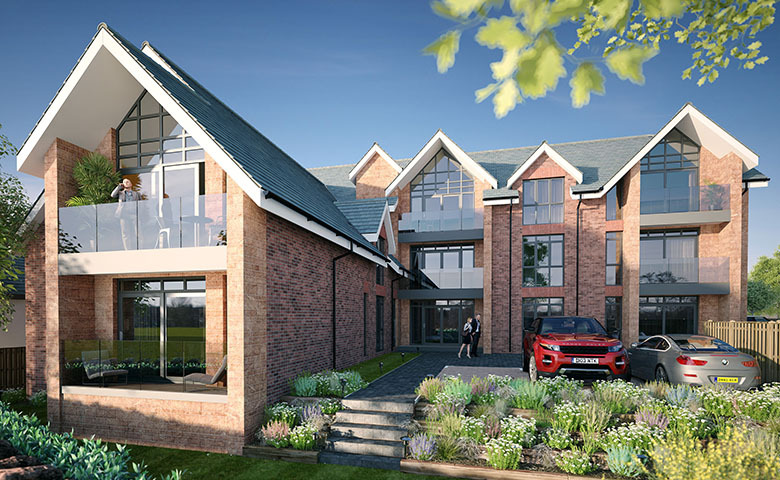 Adverts that highlighted a development’s specific facilities were also seen as being particularly appealing, again allowing the buyer to visualise living there. Simplicity in the adverts was found to be effective, and ads with a clean, modern and futuristic feel were also viewed as being appealing. Interestingly the survey found that families reported a strong preference for new builds when compared against pre-families and empty nesters. More than 50% of families preferred new builds, with the remainder expressing either no preference at all or a preference for second hand properties. So when marketing new-builds housebuilders should therefore actively debunk myths, sell the benefits of new build homes, offer period-styling options and deliver family focused ads that allow buyers to visualise their new lifestyle.